The directors for Grease: Live took the award instead. 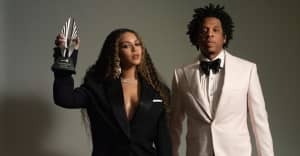 At the 68th annual Emmy Awards tonight in Los Angeles, Beyoncé lost the Emmy for Outstanding Directing For A Variety Special. Her HBO special and visual-album Lemonade was up for 4 Emmys, but unfortunately took none of the categories. Pumped up by surprise performance rumors, members of the #BeyHive were baffled and upset when Laverne Cox called the names Thomas Kail and Alex Rudzinski, the directors of Grease: Live. However, other members of the hive know that Beyoncé's best revenge is her paper and that she's at home saying, "Boy bye." View the best reactions from Twitter below. Beyoncé: "Do I got anything to do today?" Publicist: "Well, there's the Emm-"